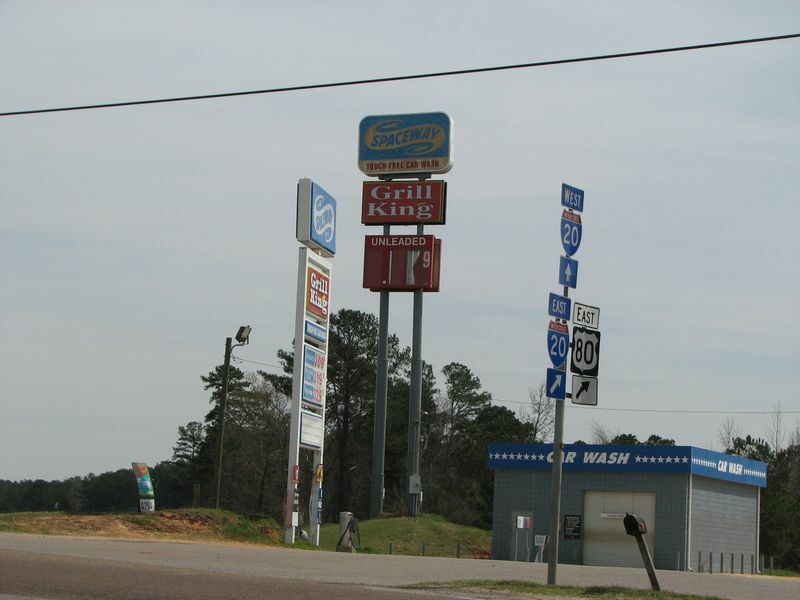 A Spaceway station in Kosciusco, Mississippi. Located at the junction of MS12 and MS19-MS35. 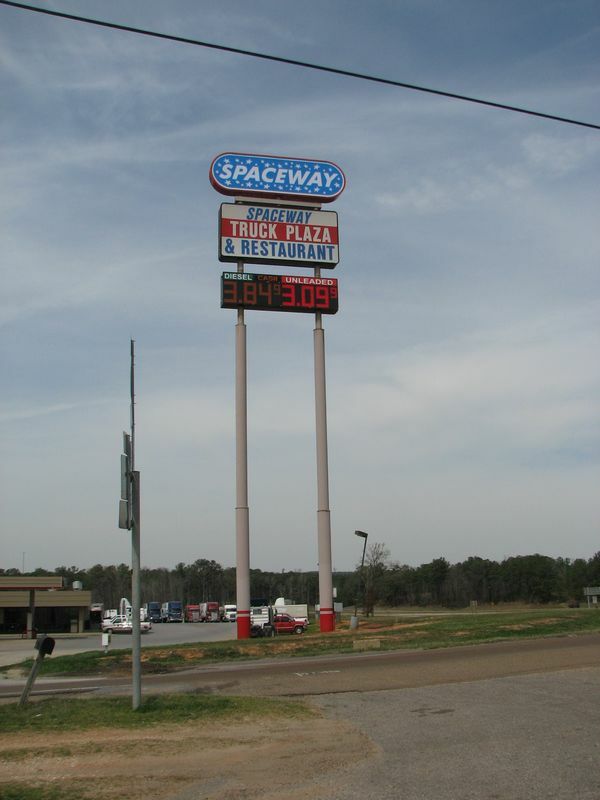 Two Spaceway gas stations west of Meridian, MS at I-20 and US 80. 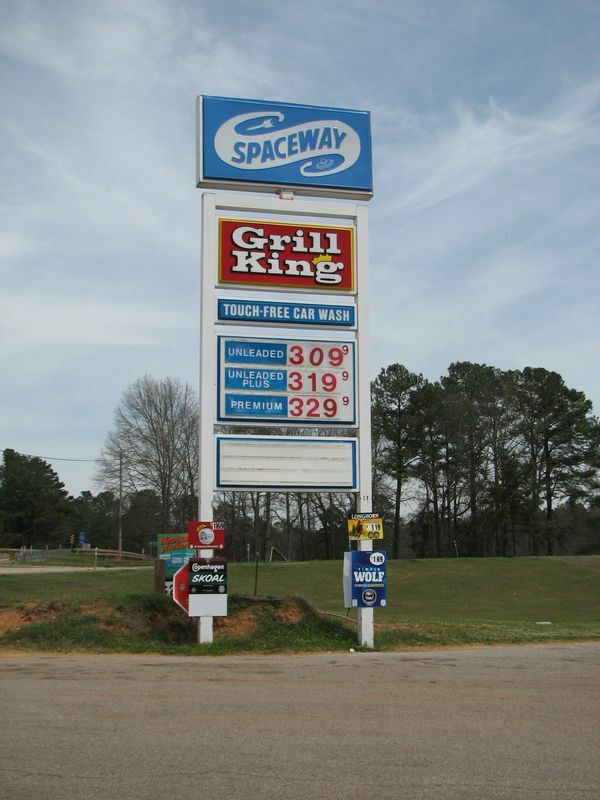 Spaceway is based in Mississippi and has Approx 15 stores. but the one across the street looks like an old Conoco Truck Stop. Taken on March 17, 2008 by David Backlin. Note: Clicking on the above photo will display a larger version in a new window. 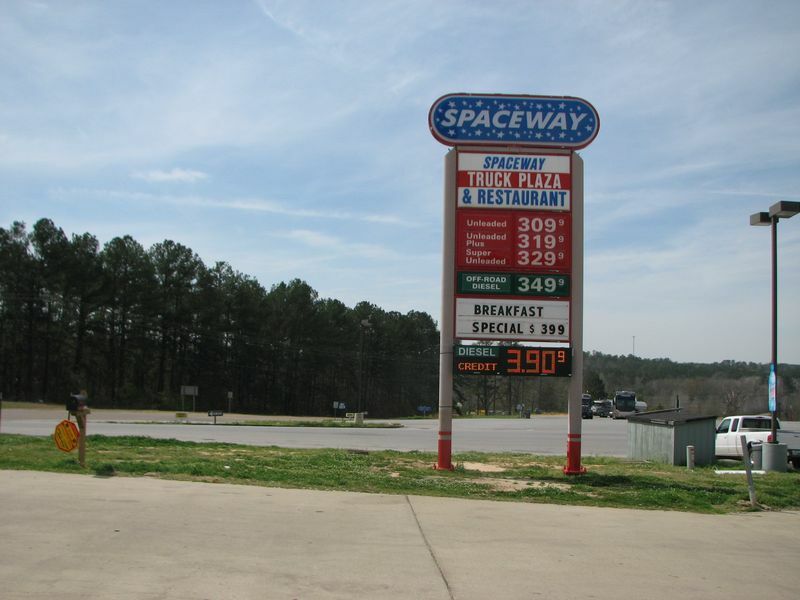 Two closer views of the Spaceway truck stop sign in the above photo. Taken March 17, 2008 by David Backlin. 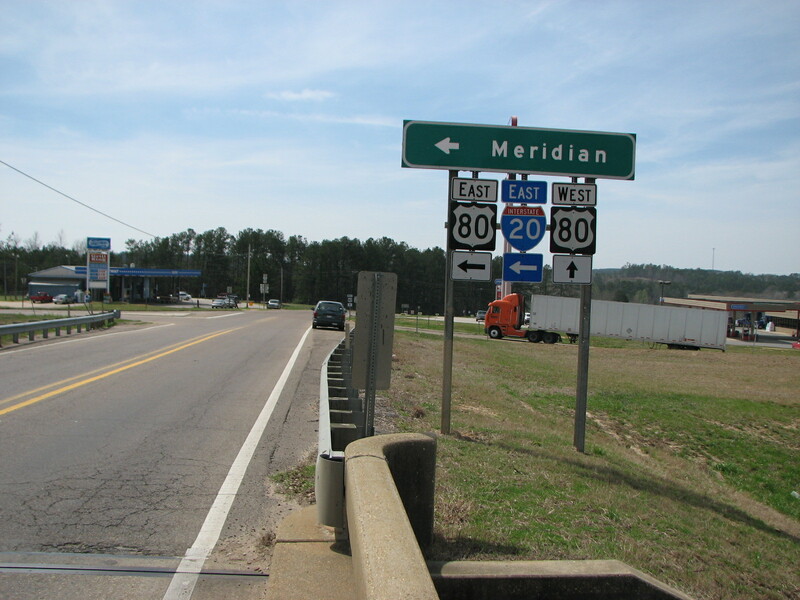 Four closer views of the smaller Spaceway station west of Meridian, MS.